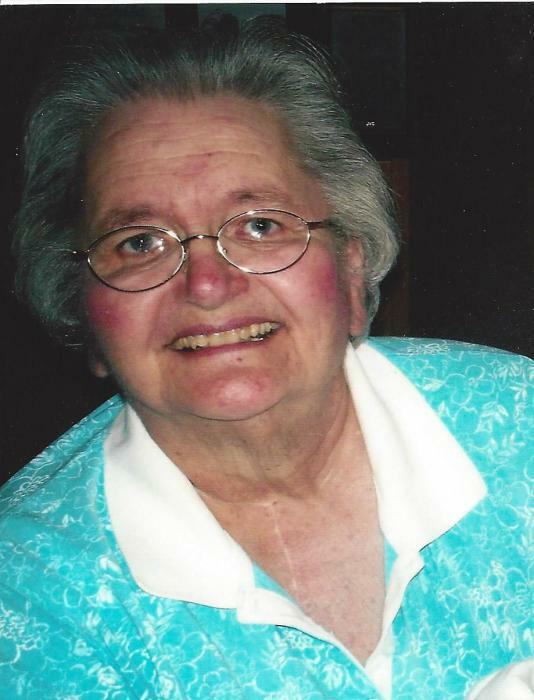 Obituary for Bonnie L. States | Peterson Kraemer Funeral Homes & Crematory Inc.
Bonnie L. States, 76, Rib Mountain, died on Monday, April 1st, 2019. Bonnie was born March 27th, 1943. She was daughter to the late Ben & Clara (Rodhammer) Plockelman, Dorchester WI. On April 18th, 1964 she married the late Robert Wiese, Colby WI. After the passing of her first husband, she married Glenn States Jr. on July 31st, 1971. Bonnie worked at Our House Senior Living and VNA up to retirement. She was a loving wife and devoted mother who will be greatly missed by all her family. Bonnie is survived by her husband Glenn Jr., Rib Mountain; her sister Jolene Plockelman, Milwaukee; her three daughters, Sara (Dale) VandeBoom, Marathon; Kim (Josh) Pawlowski, Hatley and Kelly Dadacki, Mosinee; 8 grandchildren, Stephanie (fiancé Dustin), Eric (Jenny), Matthew, Aliyah, Dylan, Alyssa, Austin and Brinley and 2 great-grandchildren Kinley and Kysan. Bonnie was preceded in death by her parents, Ben & Clara, her first husband Robert, sisters, Sylvia, Bernice, Delores, June, Sue Ann, and Donna, and brother Kenneth. A private family ceremony is planned.